The Mountain Land Physical Therapy Eagle clinic provides comprehensive physical therapy and rehabilitation services to Eagle, Idaho and the surrounding communities. Located near the newest business hub of Treasure Valley, the Eagle Clinic features a state of the art gym and a pool for aquatic therapy. The Eagle clinic is located inside Crunch Fitness, and is the only physical therapy clinic in Eagle that offers an aquatic therapy program. After patients have fully recovered they have the option to participate in a wellness program at Crunch Fitness with our physical therapists in close proximity. I have been doing all of the exercises/stretches that Jeff taught me, and my hamstring is great! It really helped me play well in my soccer tournament this past weekend. Thank you Jeff and your kind, professional staff! Their process is easy and efficient. They even gave me a handout so I can remember my exercises for when I came home! Thanks to Jeff Box I have improved greatly, practically no pain. His combination of stretches and muscle building exercises did wonders. 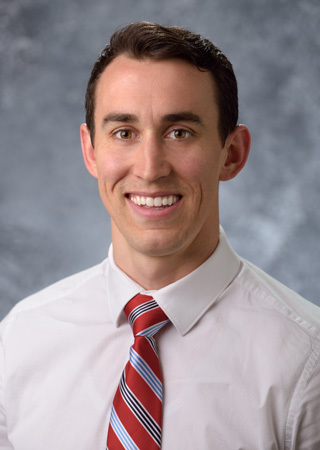 Robert received his Doctorate of Physical Therapy from the University of Nebraska Medical Center in 2015 and joined the Mountain Land team in 2018. Inspired by the amazing capabilities of the human body, Robert developed a love for anatomy and pursued his passion through Physical Therapy. Robert specializes in Orthopedics while combining hands on manual therapy with focused exercises. Robert continues to grow his knowledge base in order to strengthen his patient-centered care with the best evidence-based practices. He strives to provide treatments that demonstrate meaning and purpose while helping his patients improve and restore active and healthy lifestyles. When not in the clinic, Robert enjoys spending time with his wife and three kids. His favorite activities include soccer, football, basketball, tennis, running, hiking, backpacking, rock climbing, mountain biking and skiing.